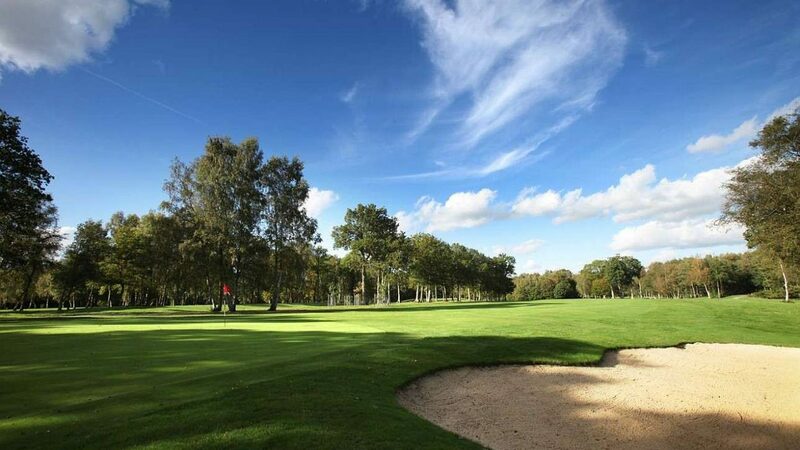 Situated between Crawley and East Grinstead, and no more than five minutes from the M23, Copthorne Golf Club is easy to reach from all corners of the South East. Founded in 1892, the club celebrated its 125th anniversary in 2017, and enjoys a rich history in the local community. The 18-hole course, which measures 6,654 yards and plays to a par of 72, has undergone several revisions since it was first built. The present course is made up of 10 ‘new’ holes, which were opened between 1976 and 1984, and eight of which have been in existence since 1903 and possibly earlier – with modifications made by James Braid in the 1930s and by Bill Cox in the early 1980s. The course gently rises and falls around a delightful sanctuary of woodland and heathland, with avenues of matures trees framing many of the fairways and surrounding greens. Always presented in superb condition, the course requires accurate hitting to avoid finding the tree line, while a ditch that bisects many of the holes places an emphasis on good course management. The greens are large, but often multi-tiered, requiring the right portion of the putting surface to be found to set up a decent birdie chance. After a round, visitors can relax in the comfortable clubhouse, which boasts a large conservatory that overlooks the 18th green and the practise putting green, while there is a separate dining room to host large societies and corporate events. From £45pp for coffee and bacon roll, 18 holes, ham, egg & chips. M23 junction 10, East of village off A264. £50 midweek. £60 at weekends after 12. Four ball special of £180 during the week and £200 at weekends includes coffee and bacon roll (Apr-Oct). green fees with code ‘CGCGOLFNEWS’. Enquire with the club for recommendations. Putting Green, practice facilities, Pro shop, equipment hire, trolley hire, buggy hire.